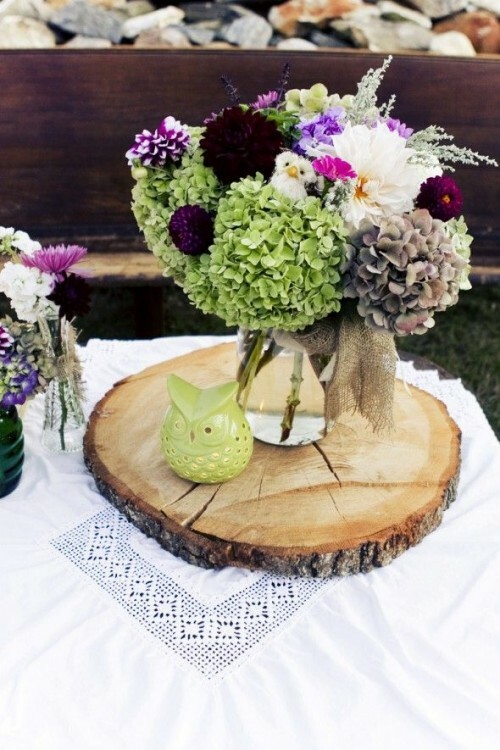 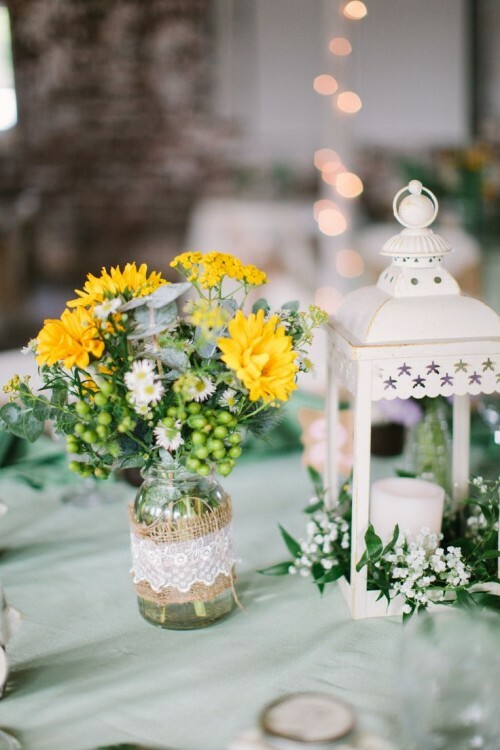 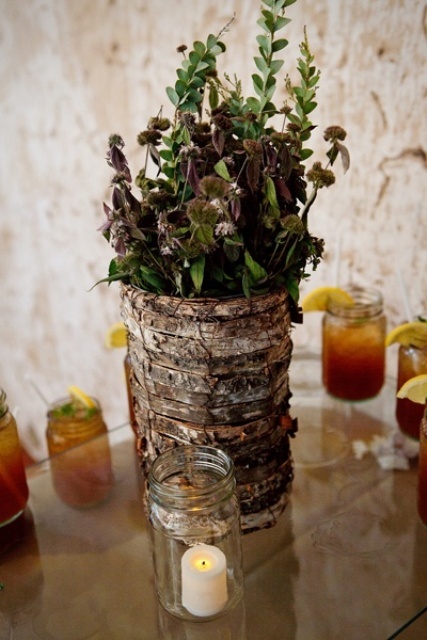 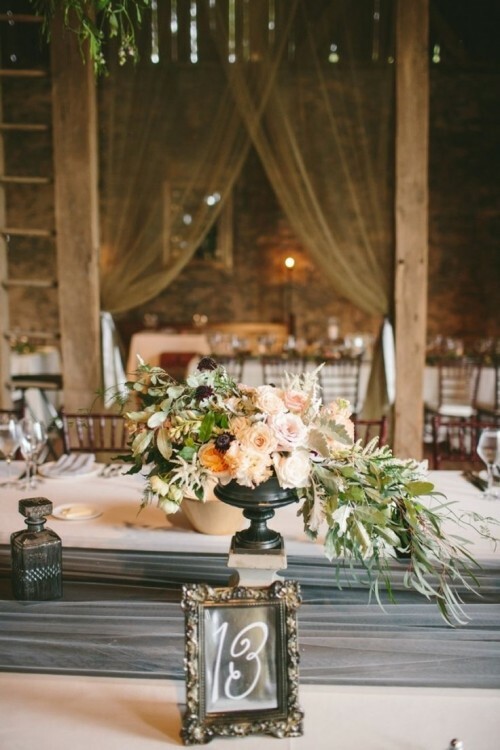 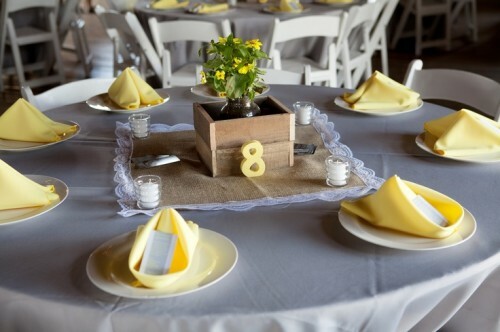 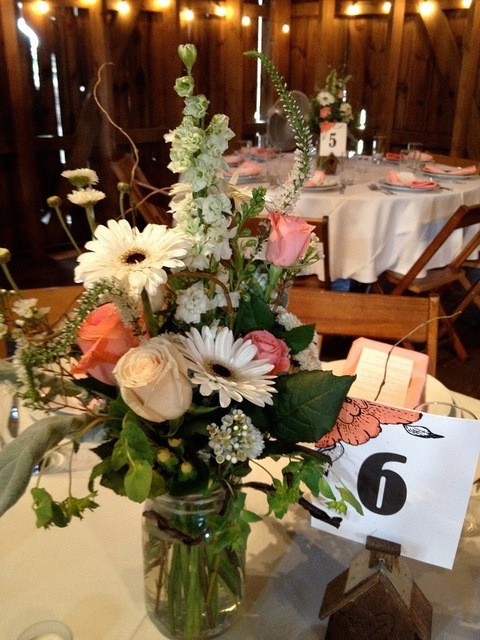 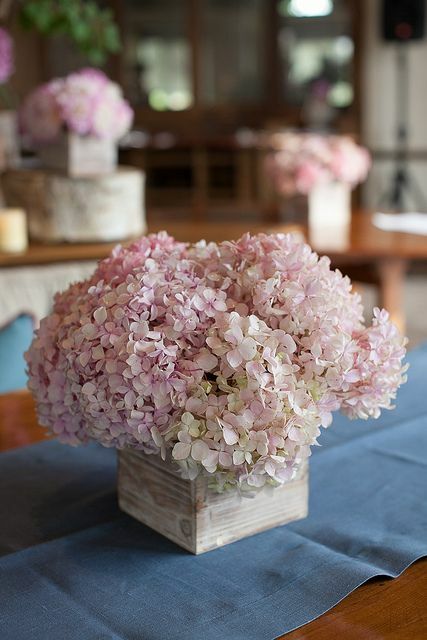 What’s good for a barn wedding centerpiece? 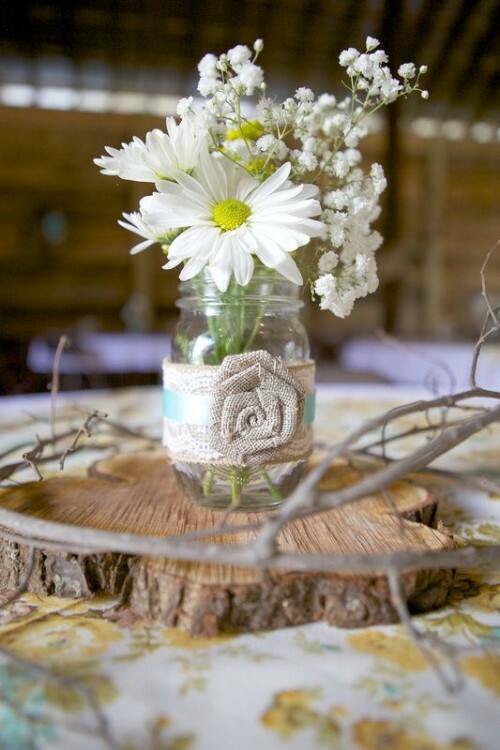 Anything rustic that you’ve got and like! 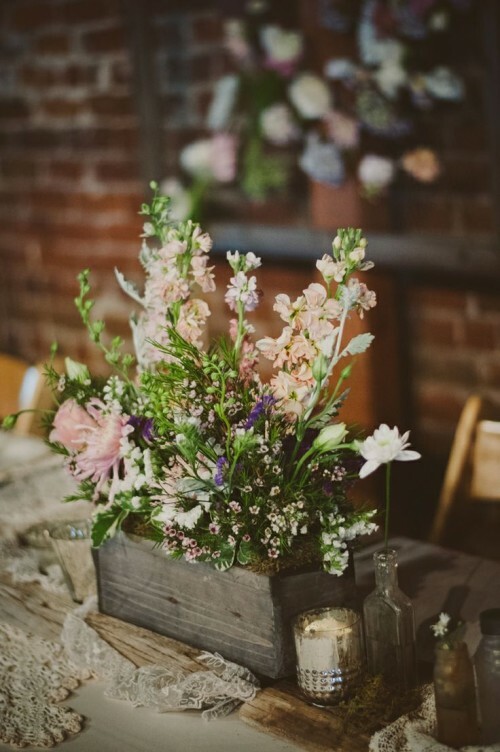 The main idea for a barn wedding centerpiece is to take as many natural materials as you can to dip everybody into the cozy and calm rustic atmosphere. 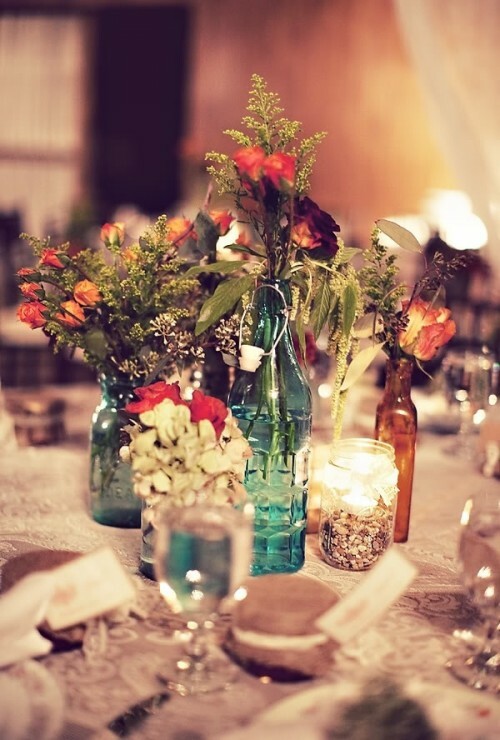 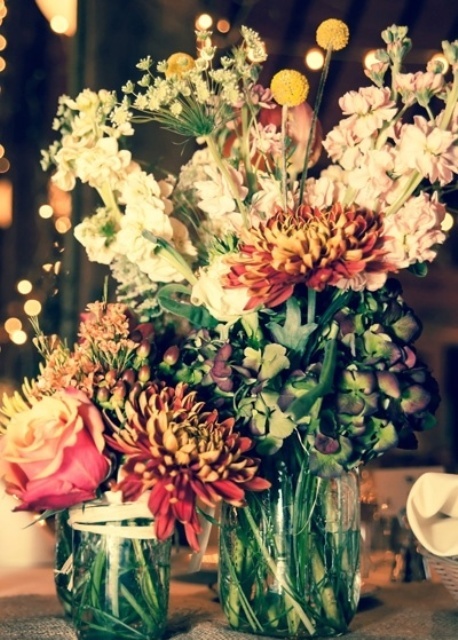 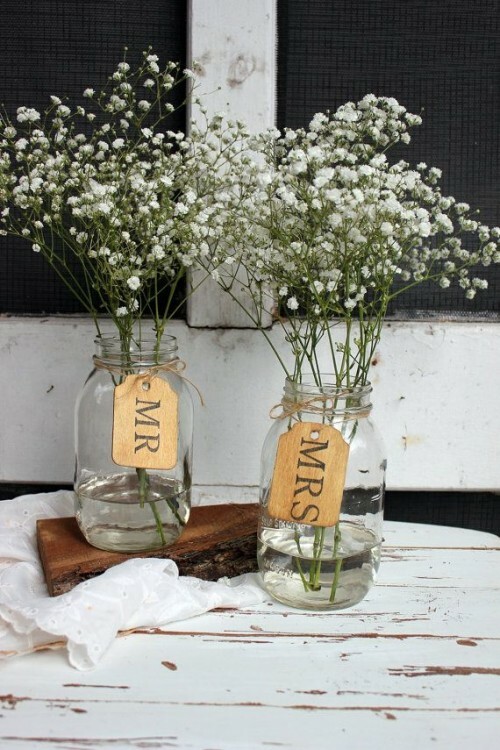 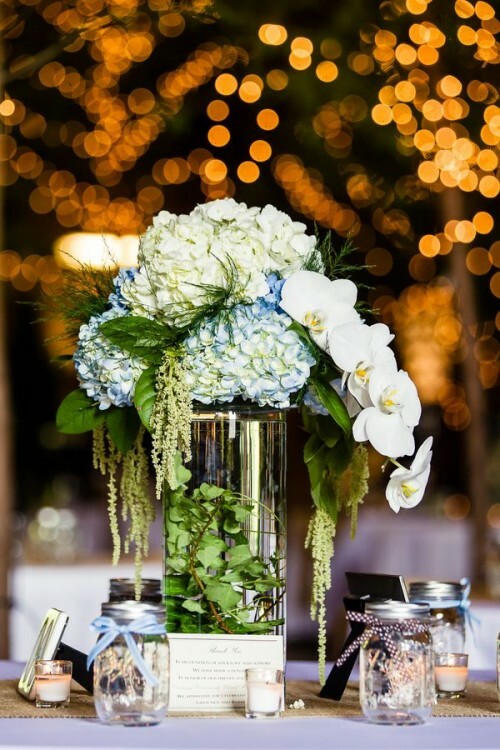 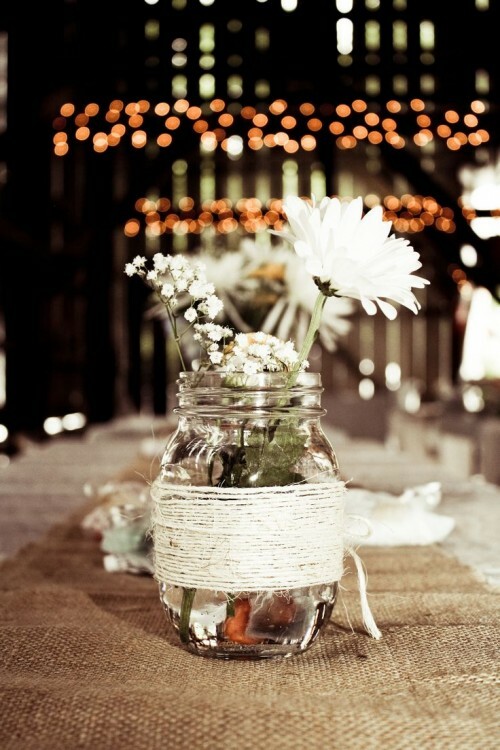 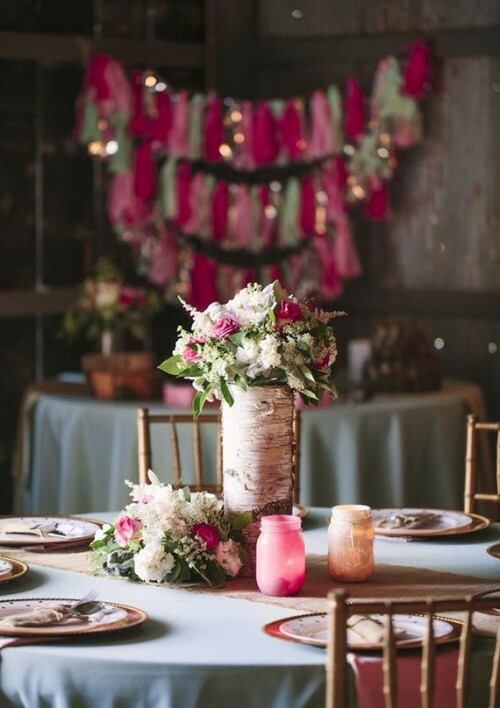 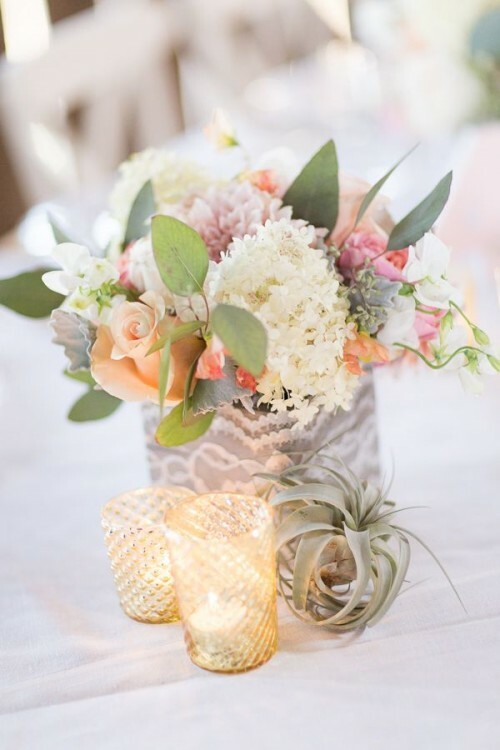 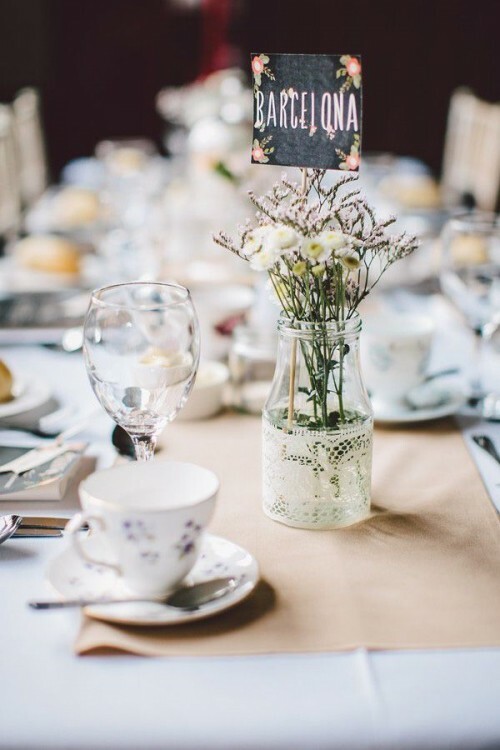 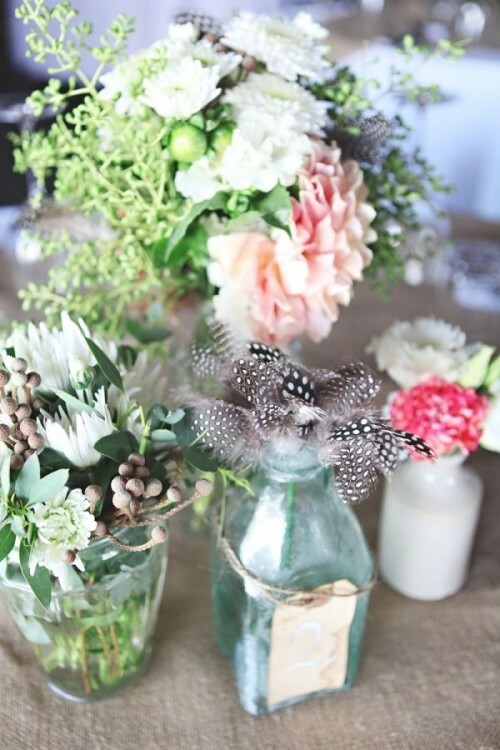 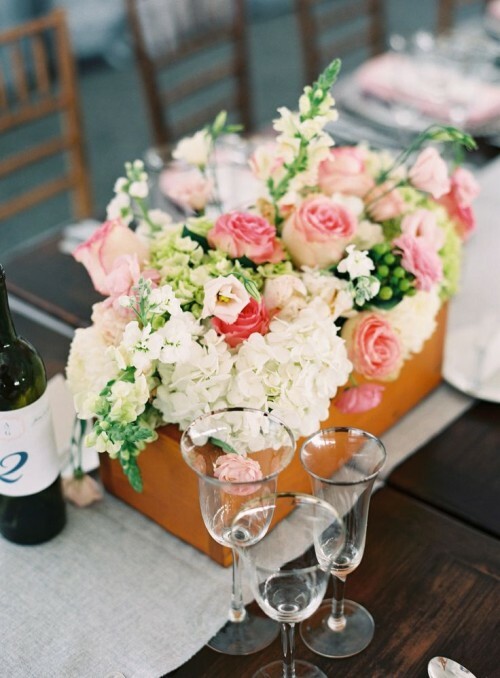 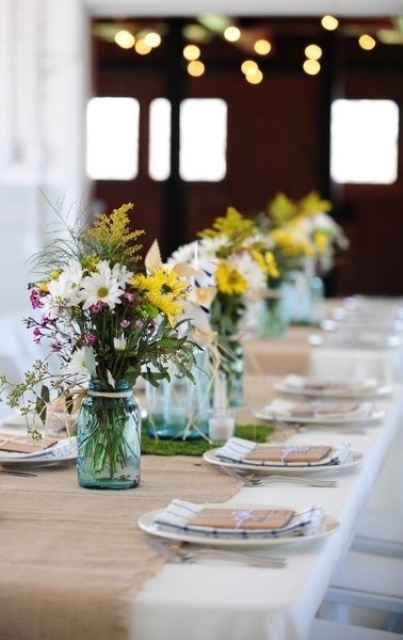 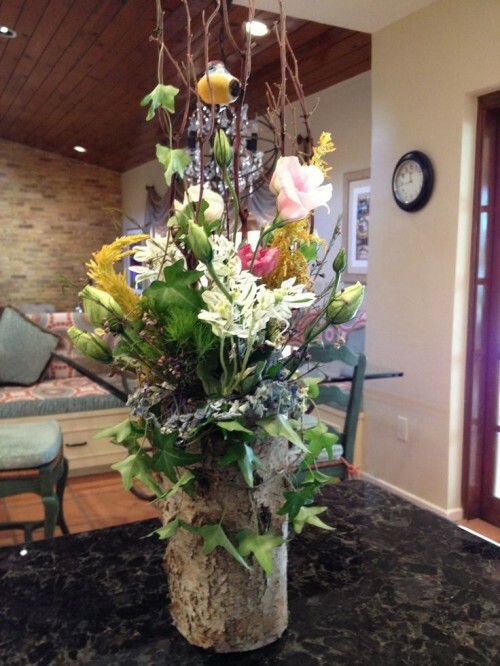 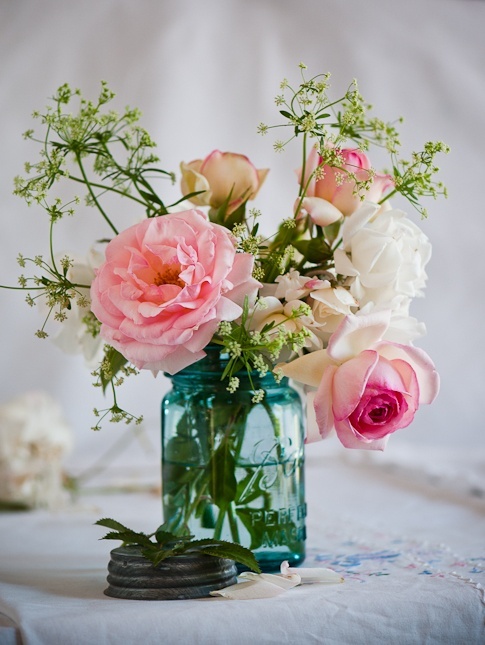 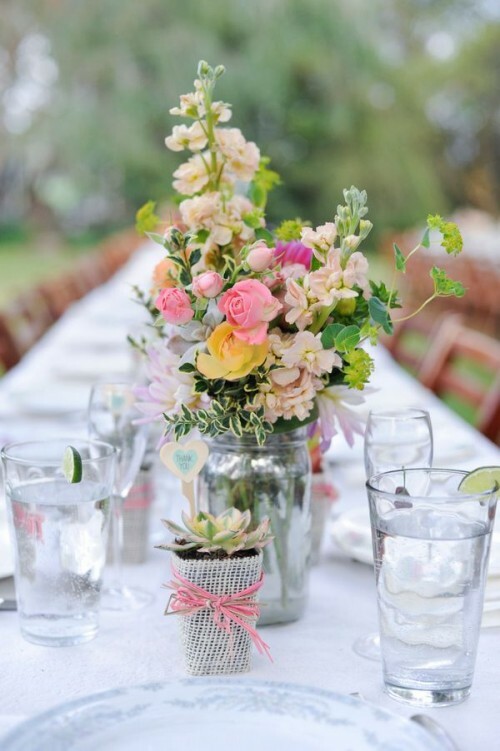 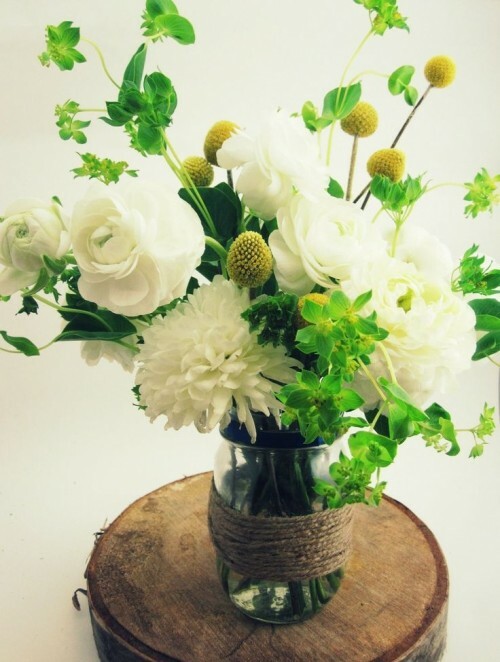 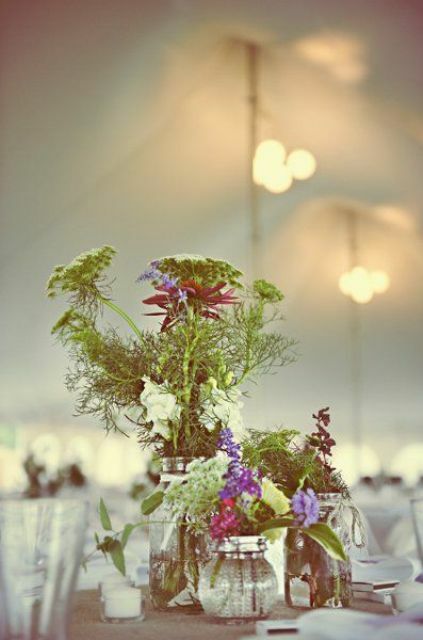 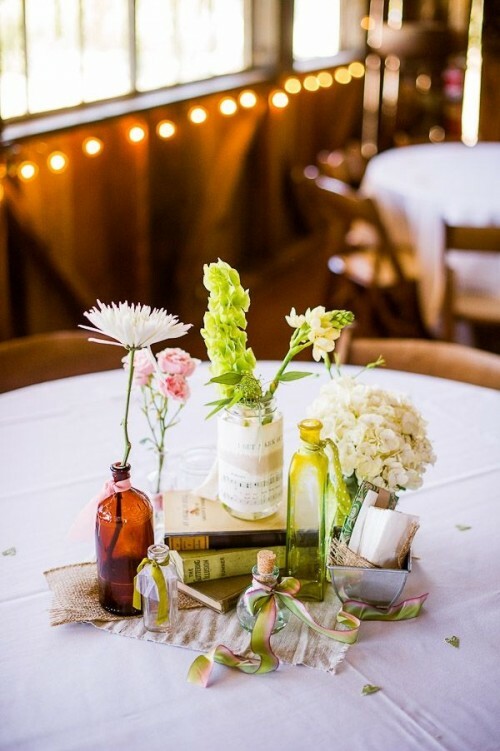 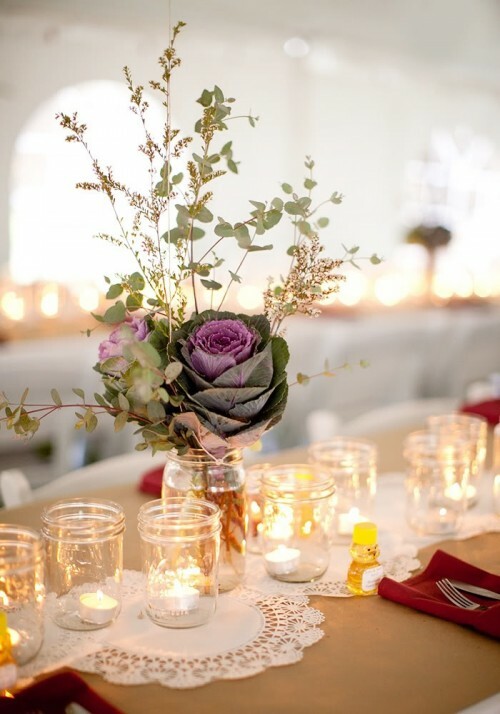 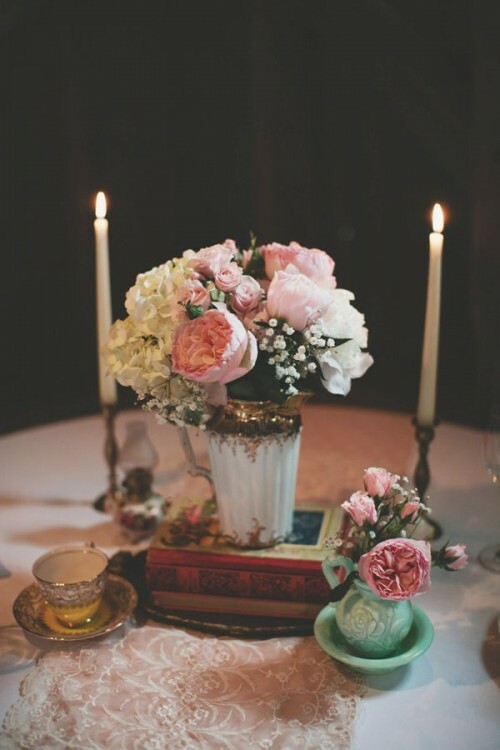 Any mason jars or vases covered with lace and burlap with flowers and greenery will make a fantastic centerpiece. 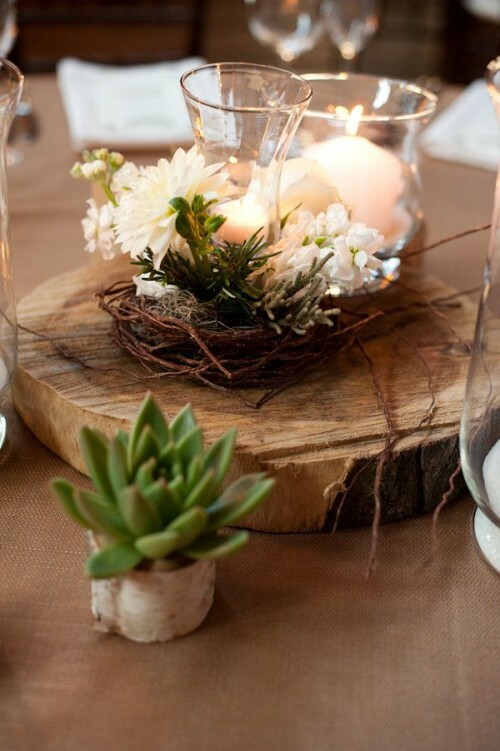 Think rustic wooden boxes, wooden slices, bark and twine! 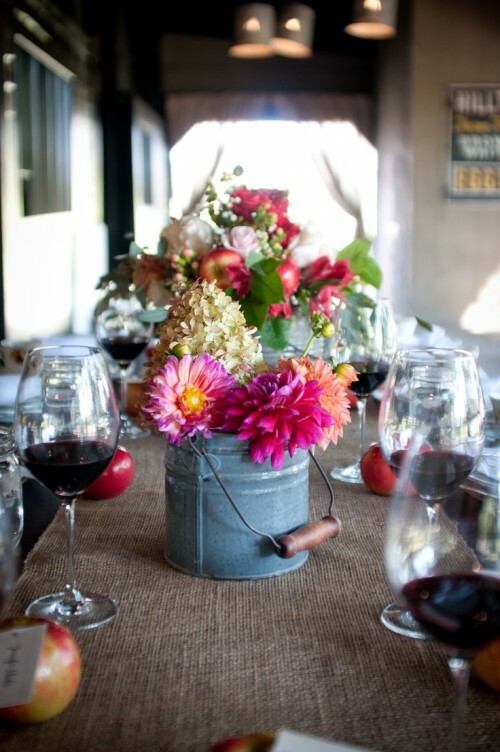 All these things are ideal for a barn wedding. 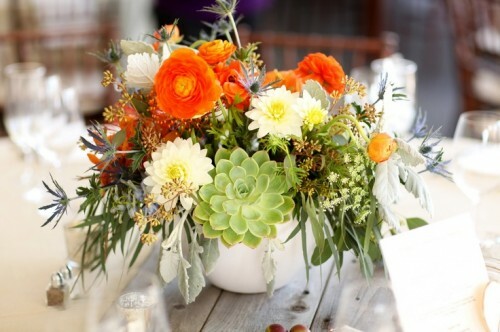 Veggie centerpieces are very original and will look cool for a fall or summer barn affair. 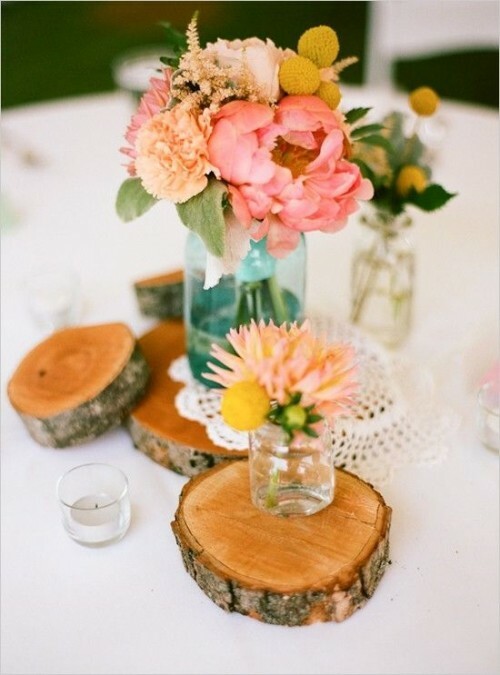 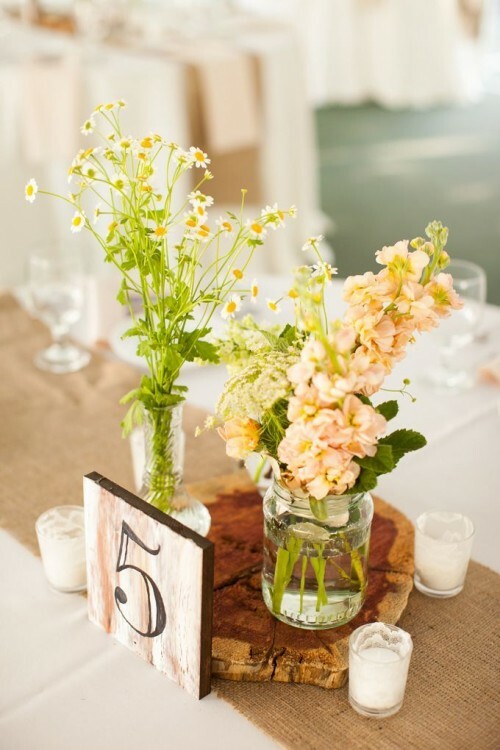 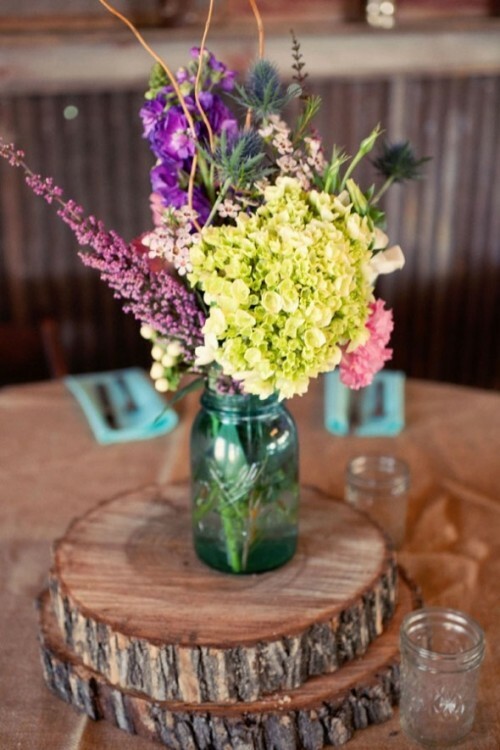 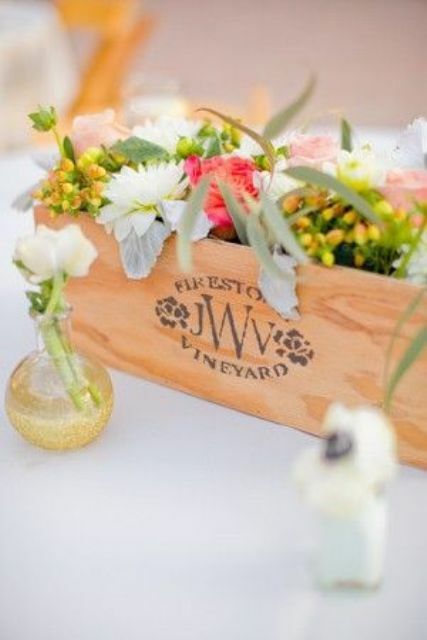 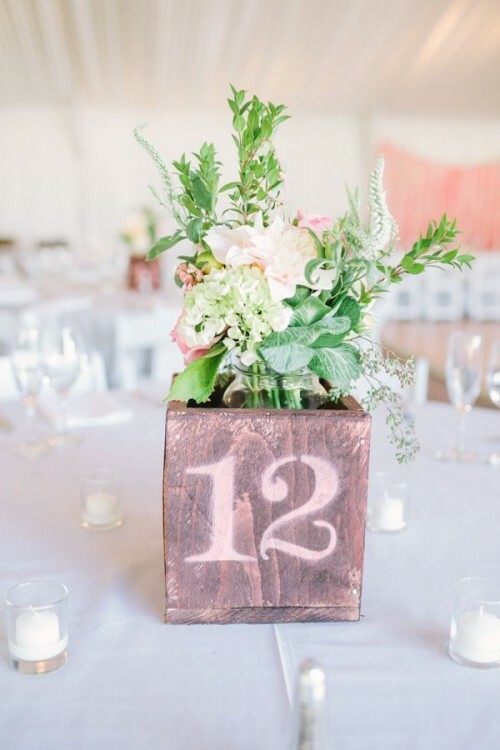 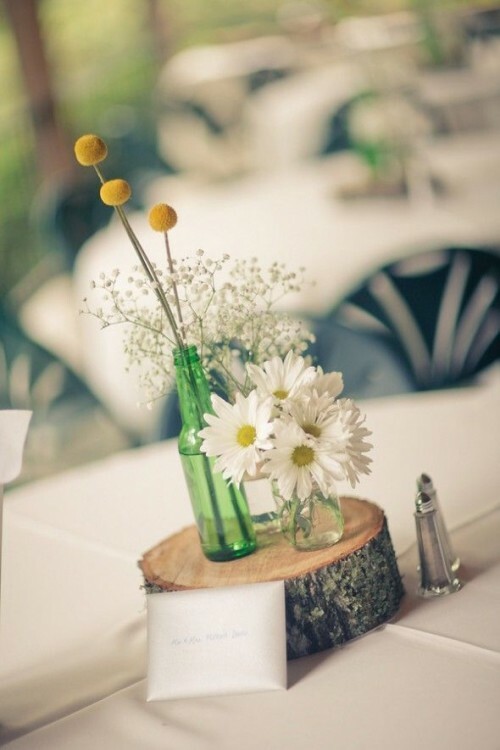 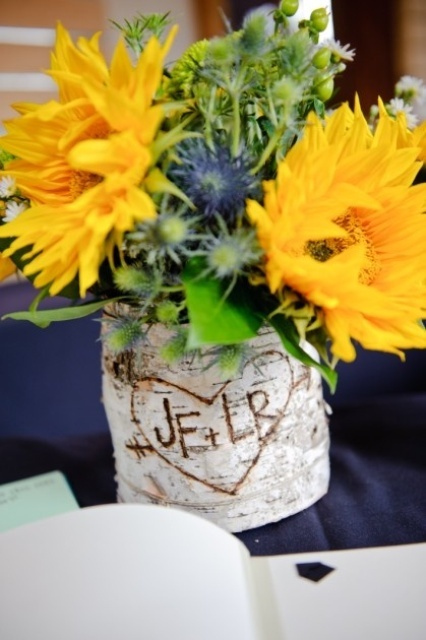 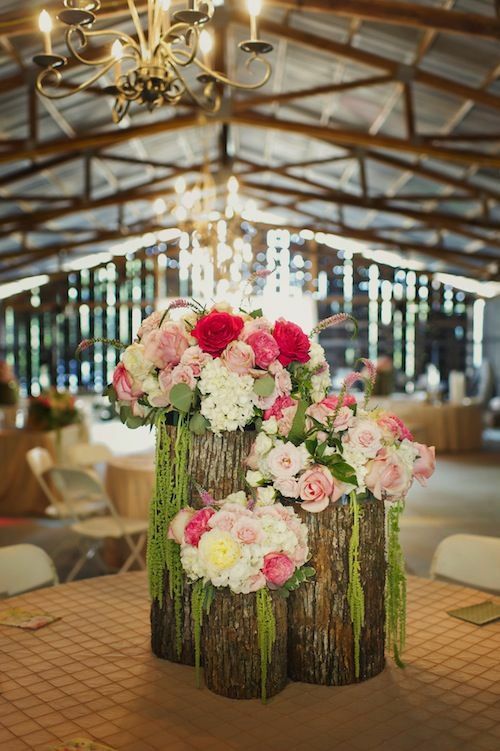 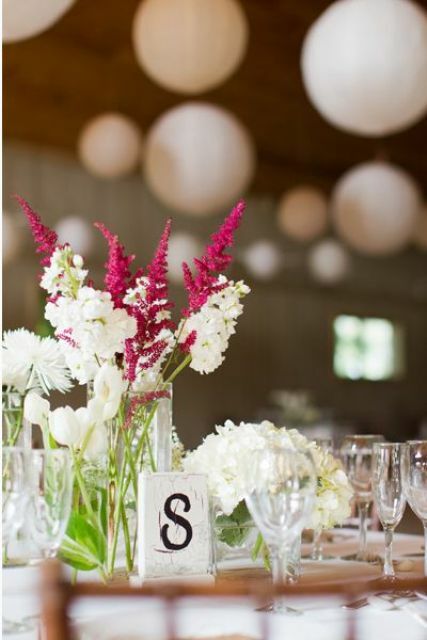 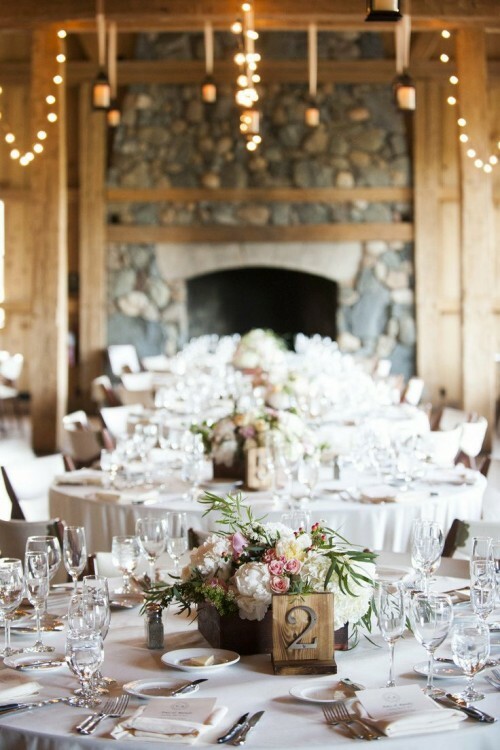 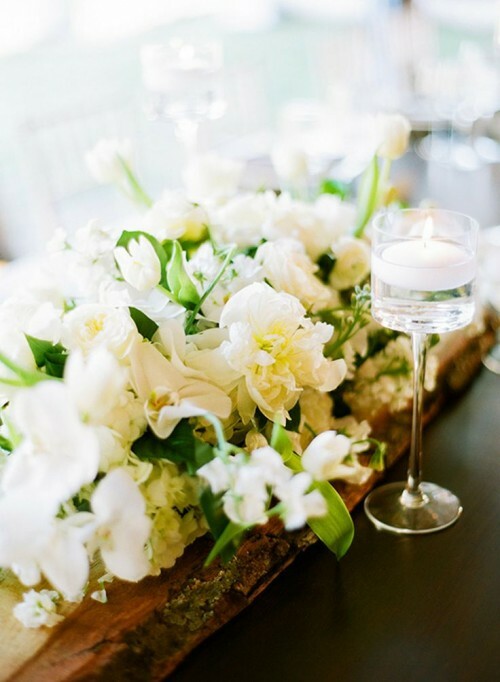 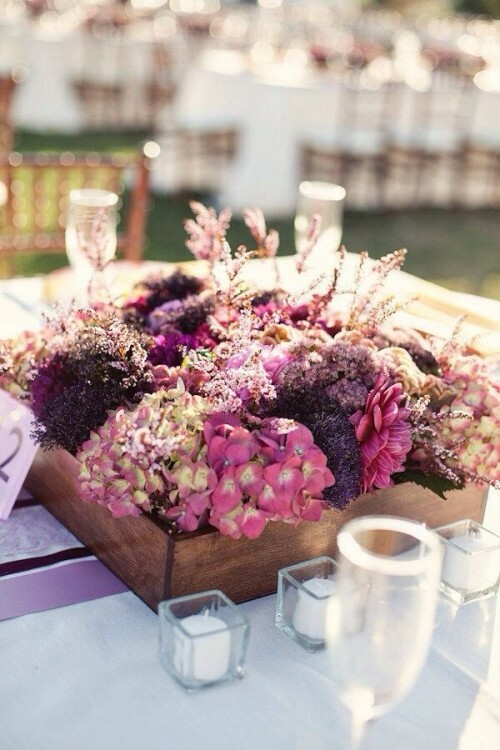 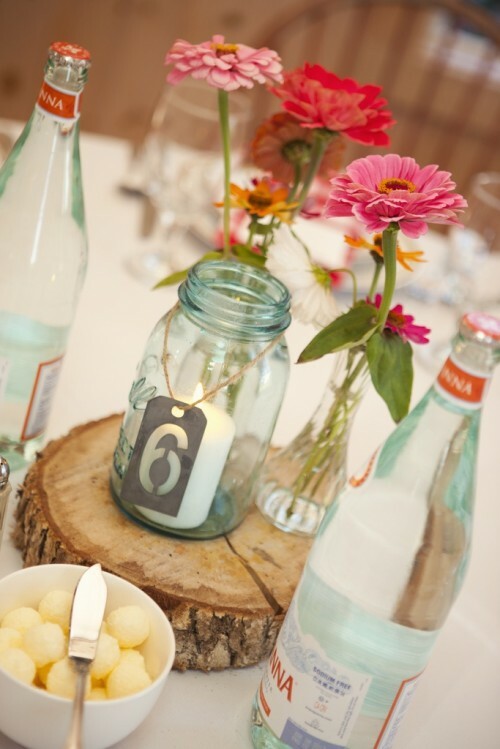 Wooden stumps with flowers on them look very creative, and you can also combine a centerpiece with a table number – easy-peasy! 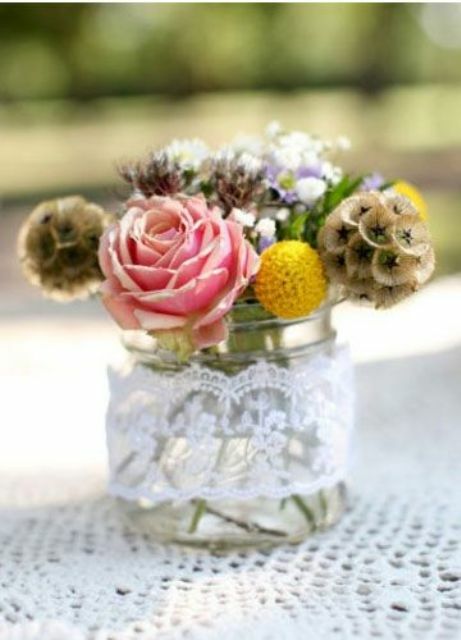 Find the ideas below and get inspired!